The Santa Clarita Valley Historical Society will commemorate the 91st anniversary of the second worst disaster in California history with its annual St. Francis Dam Disaster lecture and bus tour to the dam site in San Francisquito Canyon to be held on Saturday, March 9. The failure of the St. Francis Dam on March 12, 1928, also one of the worst disasters in American history, killed more than 400 people. The break and subsequent flood leveled farms and homesteads, destroyed property and livestock and changed the way dam safety was addressed forevermore. The tour will begin with a presentation about the disaster at 11 a.m. to be given by Dr. Alan Pollack, and Dianne Erskine-Hellrigel. The talk will be held at the Saugus Train Station at Heritage Junction within William S. Hart Park, a unit of the county of Los Angeles Department of Parks and Recreation System, 24101 Newhall Avenue, in Newhall. The lecture will be followed by a Q&A session with Pollack, Erskine-Hellrigel and Frank Rock. At 12:30 p.m., all ticketed guests will board a motor coach at Heritage Junction for a trip up to the dam site in San Francisquito Canyon and a hike to the dam ruins. 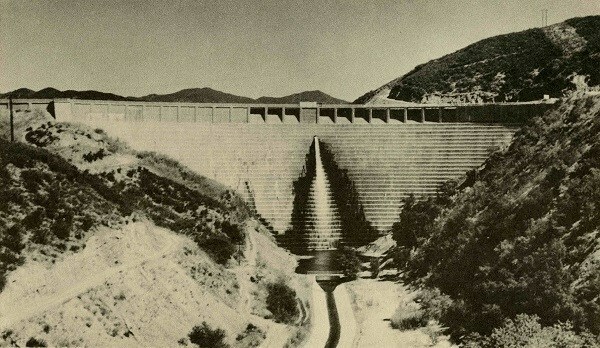 St. Francis Dam expert Frank Rock will lead the bus tour along with Alan and Dianne. Cost is $40 per person, pre-paid ($45 at the door, per person). Price includes a snack and bottled water. Funds raised will benefit programs of the Santa Clarita Valley Historical Society. Please arrive at Heritage Junction at 10:30 a.m. to check in and secure your seat for the presentation. Please wear long pants, long sleeves and tennis shoes/hiking boots. Water and a snack will be provided. You are welcome to bring your bag lunch to eat on the bus. A hat and sunscreen are recommended. Bring hiking poles if you have them. You will have a choice of hikes which may include walking in brush, on uneven surfaces, and up a steep hill. Tickets may be reserved by calling 661-254-1275 with credit card and contact information. There will also be a PayPal link on our website scvhs.org for online payments. Because this tour is a very popular fund-raiser, it is impossible to guarantee that seats will be available for purchase on the day of the tour. Order your tickets now. Alan Pollack at St. Francis Dam site. Dianne Erskine-Hellrigel at St. Francis Dam site. Frank Rock at St. Francis Dam site.